Ballroom dance music is as varied and eclectic as the dancing can be itself. Depending upon the types of steps that a dancer is performing, the tunes can be really fast and peppy or slow and melodious. Throughout the course of history, the tunes have been meant to be enjoyed whether the listener is dancing with them or not. Ballroom dance music can be listened to for dancing, as well as for the sheer enjoyment of it. Slow and fluid music is the choice for dances such as the Waltz or the Viennese Waltz. These tunes are melodious and traditional, with most being classical compositions that were written for Royal entertainment several centuries ago. Composers such as Lanner, Strauss, and Shubert were the original composers of music for the Waltz, which was started in Vienna by the Court of the Hapsburgs. With the creation of the American Waltz in the 1800's, other composers were let into the close Waltz circle. 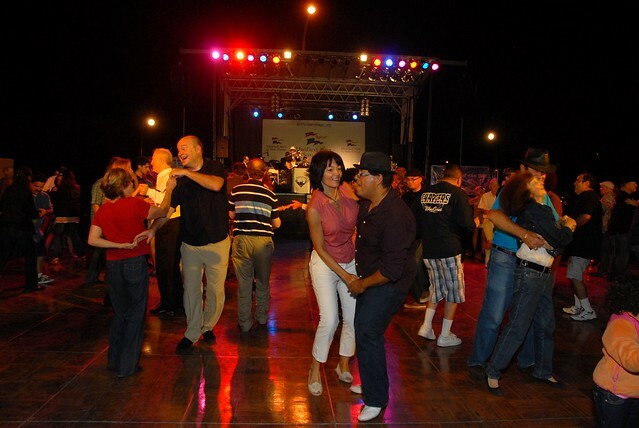 Popular artists such as Frank Sinatra, Michael Buble, and even Stevie Wonder are now contributing to the types of tunes that are classified as ballroom dance music. There are also the types produced exclusively for dances such as the Tango. This type of dancing was long thought to have originated in Argentina, but was actually started in either Spain or Morocco and brought to the Americas by explorers and settlers. In the United States, the Tango was influenced by African American and Creole elements and made popular in the early 1900's by Rudolph Valentino's movies. Popular Tango artists include Gotan Project, Carlos Di Sarli Strictly Tango, and Victor Hugo Morales. When people are just starting to learn the steps of Tango, a slower tempo in ballroom dance music is definitely recommended. Once they get the steps down, then they can pick the speed up a bit and even add a flourish or dip to make it a little more interesting if they like. Quick and sultry Latin dancing also requires another form. The Salsa, Rhumba, and even the ChaCha require a totally different beat, rhythm, and speed all together. For example, some Latin styles are danced on the upbeat of the tune, while others are danced strictly on the downbeat. Each Latin style is considered unique and usually requires its own style and tempo to be danced to properly. Latin dancing is extremely hot right now which means that songs are widely available to choose from. Most are only offered in Spanish; however, artists such as Lou Bega sing popular top forty songs in English. No matter what your choice in ballroom dance music, there are several tunes to choose from for every style of dancing.